Dr. Joslyn Gumbs always appreciates feedback from her valued patients. To date, we’re thrilled to have collected 43 reviews with an average rating of 4.98 out of 5 stars. Please read what others are saying about Dr. Joslyn Gumbs below, and as always, we would love to collect your feedback. Dr gumbs is always friendly, warm & makes me feel comfortable in a situation that usually isn't. I've also never had to wait longer than 5 min and appreciate her respect for my time. I have a great experience with Dr. Gumbs. Her staff is very accommodating & friendly. Dr. Gumbs was able to answer my questions. Great Doctor, friendly and understanding. Has time for patients. Excellent doctor. She listens and explains answers to your questions. I was in need of a new Gyn doctor and so fortunate to find Dr. Gumbs! I had a few issues of concern and a number of minor questions, all of which she patiently listened and responded to. I have to say it was a great experience, she was caring, informative and has a great sense of humor as well. I would highly recommend Dr. Gumbs! Very good overall great experience!!! I was in and out of the office the quickest I've ever been at any other office for my annual women's wellness exam. The office staff was friendly and welcoming and Dr. Gumbs was very kind. I recently moved to LA and was looking for a gynecologist with-in my network. I did some research and came across Dr. Gumbs. She had a great reviews and seemed to have a great bedside manner and knowledge of women's health. After visiting her myself, I can now agree that she is an amazing doctor! She was easy to communicate with and was truly interested in making my visit as thorough and comfortable as possible. Her medical and office staff were friendly and helpful as well. 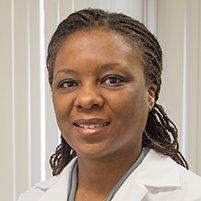 Dr Gumbs has such a warm, inviting personality; An excellent bedside manner, she immediately puts you at ease. As a first time patient, she gave an incredibly thorough examination, and I left feeling that I was in capable hands. Her office staff is wonderful, and they all worked very efficiently. First time I ever went to any doctor's office with an appointment and didn't wait a half an hour over my scheduled time. I'll definitely see her again and refer her to friends and family. Dr. GUMBS is extremely personable, patient and precise. She is very thorough and gentle. All questions and concerns I had, Dr. GUMBS addressed with knowledgeable information. Unlike alot of Dr's around, Dr. Gumbs took her time with me and didnt make me feel like just another patient. I needed to change my appointment last minute and they were extremely accommodating. I waited a little while to see Dr.Gumbs which was understandable considering my request to come in at a much earlier time. She was very warm, kind and emphatic to my needs and apologized about the delay in seeing her. I am looking forward to see Dr. Gumbs in the future. Dr. Gumbs was attentive, kind and gave informative feedback. She spent a good amount of time with me as a first patient. I would recommend her! Thanks. Dr. Joslyn is great! At my appointment, she really listened to me and she made me feel extremely comfortable. I would absolutely recommend her. Great OBGYN Doctor! She's very knowledgable, easy to talk with, sweet and funny. I'm glad I made the switch! Very informative and a great sense of humor!! Dr. Gumbs was very sweet and personable. Glad I found her! Loved her! So quick and easy! Made me feel very comfortable. Dr. Joslyn is gentile, educated, prompt and all around a great obgyn. She's very helpful and understanding. I will definitely be making her my primary Obgyn. Only reason I didn't give a 5 star review was because of the nurse who drew my blood. It was so painful I'm having trouble moving my arm even 2 days later...she was very nice though!